Below you'll find a few pictures of our first real-life prototype of the system, using simplified connecting brackets. 1. 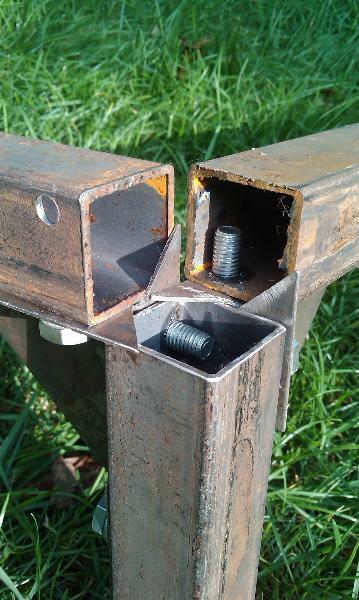 Basic connection using 2x2" square tubing, 2 connecting brackets and 8 bolts. 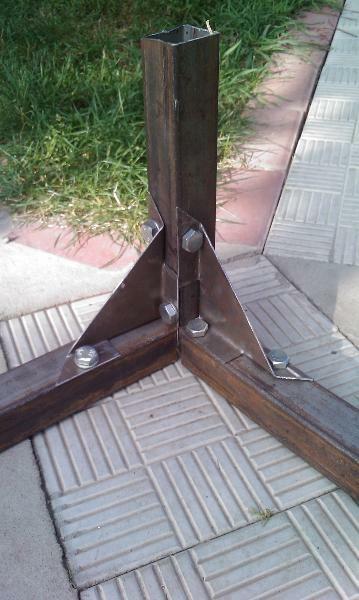 Overlapping extensions from the brackets significantly increase resistance to compressive loads. 2. Inner view of the basic connection, showing the simplified connectors. 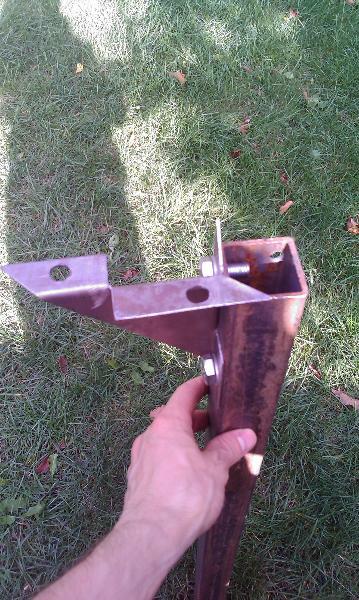 Just 4 bolts are required per bracket. 3. Simplified connecting bracket can be easily stamped out of sheet of metal in one go.